For sure not playing FUT anymore ! 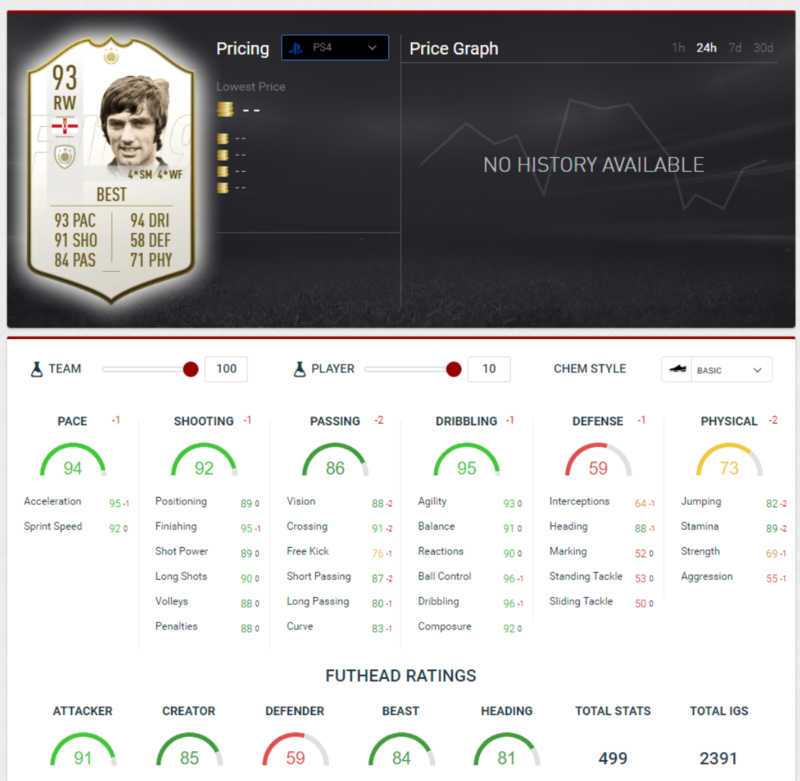 So George Best basicly gets an inform while he's dead. EA is looking quite tragic tbh, I start to believe those stories that they're losing money. They should just ditch whole FUT concept and give everyone every card to build whatever team you want. Just disable coins. I just don't get it, heroic moments? I thought Icons are Icons because of their heroic moments, especially Prime ones meaning they did something extraordinary. This is an absolutely ridiculous promo. In fact, it's shameful. I spent 1.6m doing the Prime Ballack SBC, because I wanted the PRIME Ballack. When they release a higher version, I no longer have the Prime Ballack. I want my 1.6m back. Of course I won't get it. They can stick Fifa 20 up their hole. Think it's unfair on those with prime icons, Best has just finished and all the owners find he now has a higher card after spending the coins. Really appreciate the honesty from a mod. Well done sir. Pure greed from EA. This would be good idea at the start of the game when people know that prime icons aren’t the top version of a player. 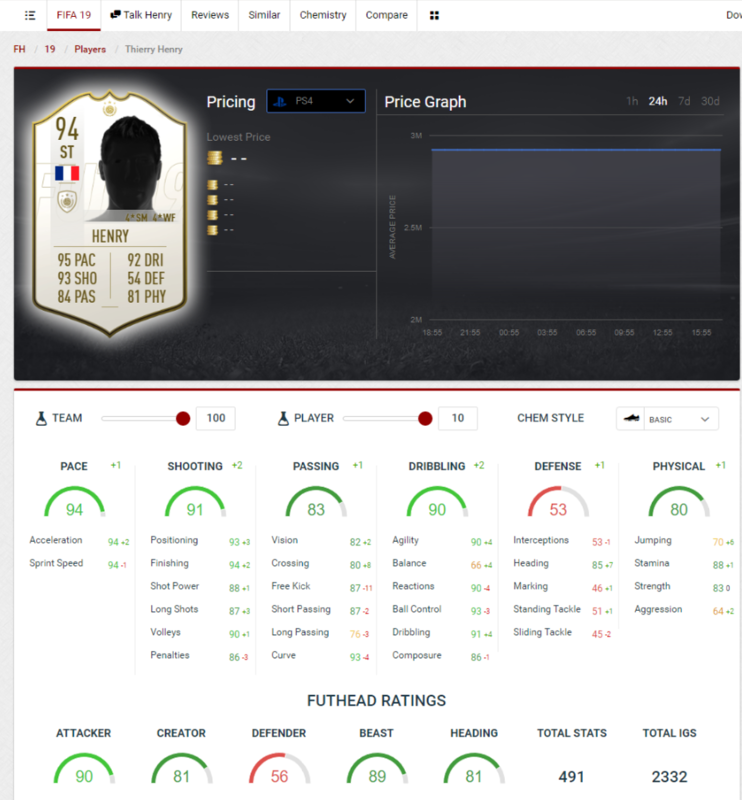 It’s also getting ridiculous how many crazy rated players are getting added on a weekly basis. Promo after promo after promo. Slight chance they might open the heroic version as an SBCs requiring the prime version? It does leave you speechless with how low EA are willing to go to make money. 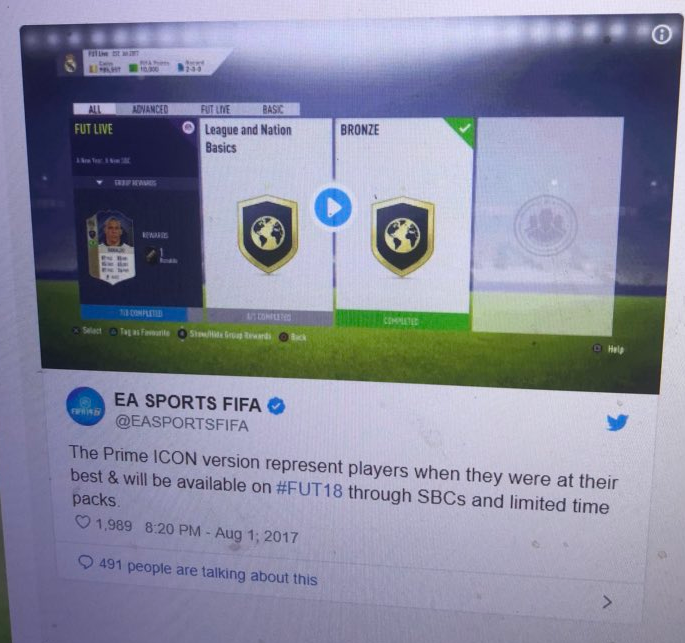 They have totally managed to destroy the icons this year with there releasing of sbcs, and now they get informs when they cant even be bothered to release the old primes. On the plus side their revenues must be really poor against their targets to even consider this. This alone has cheered me up. Mattheus and Henry haven’t had their sbc yet right? So it would be utterly ridiculous to give them sbc’s for their non-prime-prime versions. You know what I think? This is a return to last year’s format, they release these new icon versions every few weeks, with their sbc at the same time. That is the only thing that makes sense for me. EA is making quitting Fifa quite easy for me now. Cheers. This is a step to far. Dear oh dear. A prime now becomes not so prime. It’s s slap in the face to anyone who has done prime SBC’s. Tbh are we suprised? The game is a joke, the company is a joke. Crapola promo after crapola promo, all getting more stupid than the last. Its so pathetic. The cash grab since toty has been shocking really. To a point that people who would normally care less are taking notice. @deang07 @sonnyfilth finally they release some big icons! What do you think? I'm never spending a $ on FP again, and I recommend you all start to do the same. I'm going to start my campaign to accelerate the banning of FP in other countries soon I think, just need someone with some basic video editing experience. When EA see what hit them in the coming months it will be hilarious, absolute joke. It's a joke, only way to save it is if my not so prime primes get upgraded to prime primes. Bet he still spends $0000's on FP trying to pack one because it makes good content. Abit ridiculous but doesn’t affect me as I won’t pack 1. Sir. I salute you!!! The amount of times u support and then retaliate them is just insane. The ping pong in ur opinion is more than what I see in the game! !